Today it's Day 2 of Clearly Besotted Stamps Teaser Time. I have a peek for you at Chirpy Chicks - a very sweet set full of adorable baby chicks. 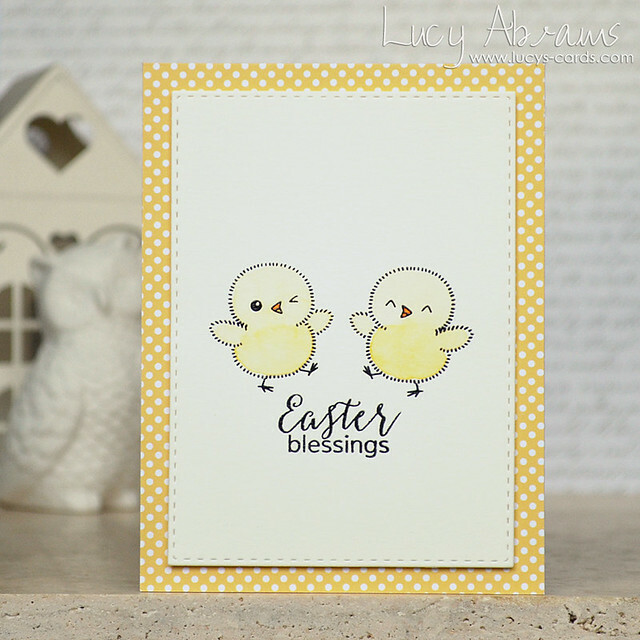 Obviously this set is perfect for Easter cards, baby cards... and any other occasion that calls for cutie-pie little birdies. :) I love it. 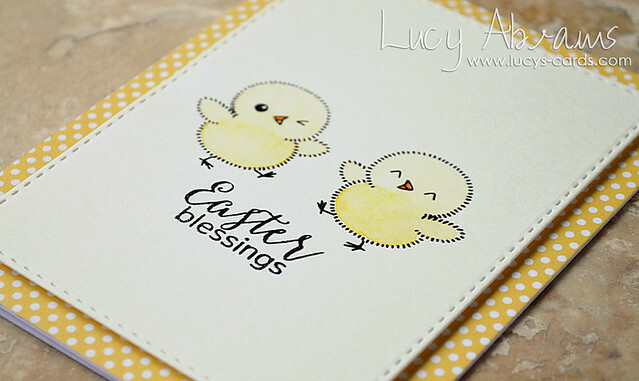 My card is super simple - I just heat embossed the chicks and a sentiment from You Are Wonderful on watercolour paper, then painted very lightly with Gansai Tambi paints. I die cut with a Stitched Rectangle die, then adhered to some Echo Park patterned paper. See you again soon for more!! simple sweet! I love the winking chick!